Summer - The Donna Summer Muscial - Broadway Tickets! Save on Broadway Tickets! 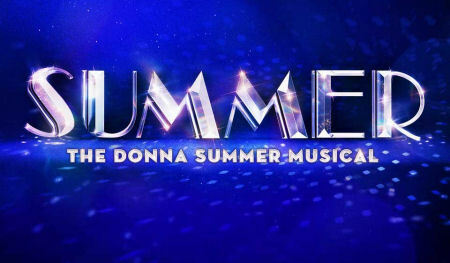 Purchase Center Orchestra or Mezzanine Tickets to See Summer - The Donna Summer Musical on Broadway in New York City! TICKETS MUST BE PURCHASED IN EVEN QUANTITIES! TICKETS WILL BE MAILED TO YOU VIA USPS! Only a limited number of tickets available. She was a girl from Boston with a voice from heaven, who shot through the stars from gospel choir to dance floor diva. But what the world didn't know was how Donna Summer risked it all to break through barriers, becoming the icon of an era and the inspiration for every music diva who followed. Tony Award winner LaChanze (The Color Purple), Ariana DeBose (Hamilton, A Bronx Tale) and newcomer Storm Lever play Donna Summer, taking us through her tumultuous life, tempestuous love and mega-watt musical hits. Spend the night in her electrifying universe. Children under 4 are not permitted into the theatre. Resale of these items is strictly forbidden either privately or through any other website. The issuer reserves the right to deny acceptance without recourse of any items deemed to have been obtained in a manner contrary to our terms of sale and any person found to engage in this practice will be refused the right to purchase further items of this type.